A South Korean sports agency is claiming an American figure skater intentionally injured its client Lim Eun-soo with a skate blade in a collision during the ongoing world championships. 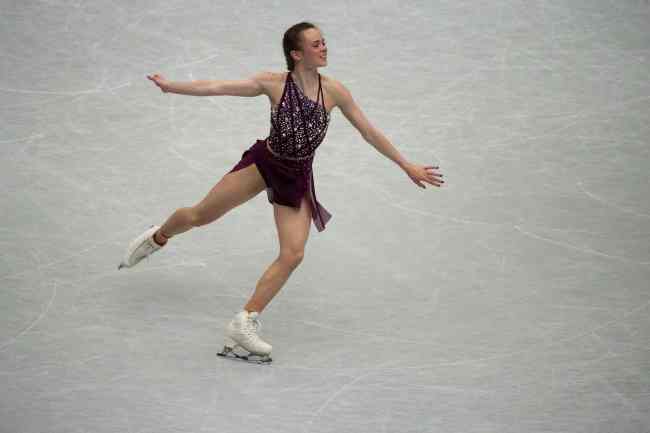 According to All That Sports, Lim sustained a cut to her calf Wednesday when Mariah Bell struck Lim's leg with her skate during their warmup prior to the ladies' short program at the International Skating Union World Figure Skating Championships in Saitama, Japan. Lim was immediately treated for her injury. She was 30th among 40 skaters to take the ice and had the cut on her leg taped before performing her program. In her first senior world championships, Lim, 16, set a personal high with 72.91 points to rank fifth, while Bell, 22, scored 71.26 points to place sixth. An All That Sports official who witnessed the collision said there was enough ground to believe Bell's act was premeditated, since Lim was skating close to the walls so as not to interfere with others, and Bell came from behind the South Korean to make contact. Lim and Bell train under the same coach, Rafael Arutyunyan, in Los Angeles. The agency's official said Bell had been bullying Lim for months and launched a verbal attack on the South Korean just before the world championships. Bell didn't apologize to Lim after the collision, the official added.